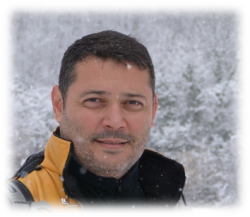 Dr. Rodrigo Lopes Ferreira is a biologist graduated from Federal University of Minas Gerais (1995), Master (1998) and Ph.D. (2004) in Ecology from the same university. He has considerable experience in subterranean fauna, having executed many works in several regions of Brazil and abroad, where he has visited caves in over 17 countries. His main specialty is the ecology and conservation of subterranean invertebrates. Dr. Marconi Souza Silva is a biologist whose main line of work is the conservation of subterranean environments, including natural and artificial cavities, edaphic and interstitial environments. 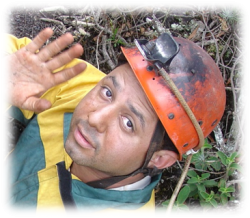 He works with projects in ecology and mapping of subterranean biodiversity in Brazil and abroad. Currently, he is focusing on projects related to the mapping of Brazilian subterranean biodiversity and dynamics of food resource availability for cave fauna.